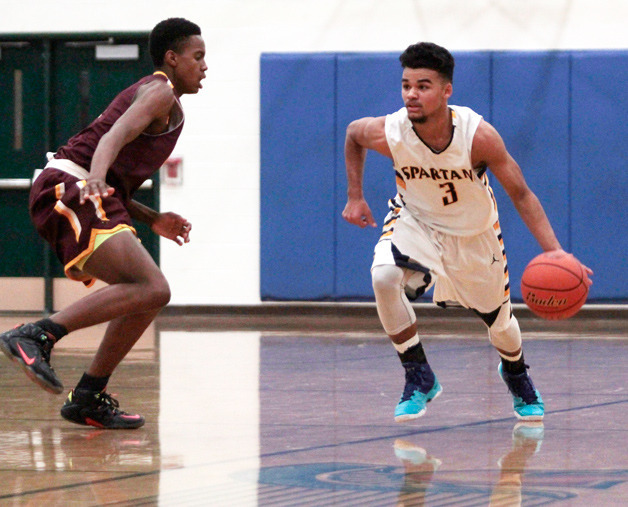 Bainbridge played O’Dea High School in their third home basketball game of the young season on December 15th, 2015. The superstar for the Spartans was guard Brendan Burke, who finished the game with 34 points, a career high, as the Spartans soared to their highest scoring contest of the year. O’Dea had many turnovers, but that was the only thing keeping the Fighting Irish off the board as the put up solid offensive numbers. Michael Carter III, was the high-scorer, but only scored 14, but many of his Irish teammates were in double figures. To get the result, listen to Shaemus Kreider’s call above.